This Is our great specialty, and the origin of this group of Spanish Craftsman. The variety is enormous. To see it all, we have divided it in to various sub groups. Any of the pieces can be made in Oxide Silver or silver gold plated with 5 microns. 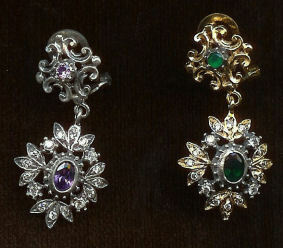 Also you can choose any of the following stones, amethyst, Onyx, Green Agate, Garnet o Zircons. You will be able to visit web pages with broaches, rings, bracelets, pendants, earrings, necklaces, crosses and other things. If you go into Silver you will see the silver pieces, and if you go in to Gold plate you will see the silver gold plates items. I insist that even though you don’t see the image of a piece, they all come in Sterling Silver 925 and Sterling Silver 925 Gold Plate. 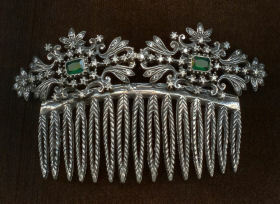 ART-JOY is specialized in reproducing Isabelina and goyesca style jewelry from the XVIII and XIX centuries. 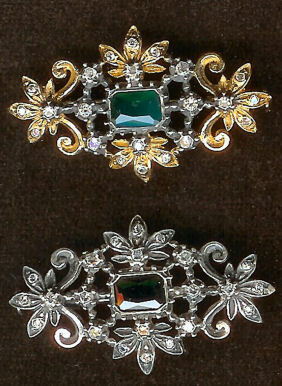 They are the most prestigious craftsman in Spain in these styles of Jewelry, the selection is really very extensive and with many variations. Silver Jewelry has been a tradition during hundreds of years in Cordoba, where silversmith has elaborated highly intense workmanship and the artistic values have been always recognized during centuries. There was and still are hundreds of workshops in this city, and a few like ART-JOY still conserve the “Known how” of these magnificent craftsman of Cordoba, that make masterpieces of art. ART-JOY, started as a business in 1875, in the area of San Francisco, where you have the square of “del podro”, just next to the famous museums of Julio Romero de Torres and the Art Museum of Cordoba. The Isabelina and Goyesca style jewelry from ART-JOY, is for every, they never passes in fashion. It’s always usable, it gives you a touch of class and it’s something unique on you, it give you a special personality and identity. This outstanding beauty jewelry, conserves the most traditional styles of an historical period of the silversmiths of Cordoba. 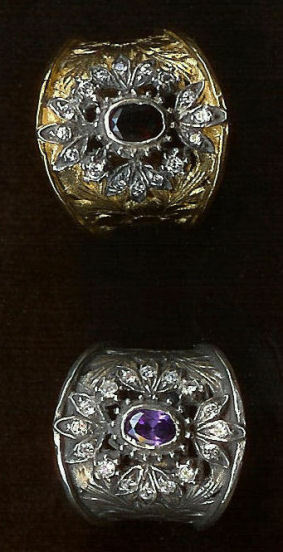 This jewelry is the Spanish equivalent to what is known as Victoria Jewelry in England or Colonial Jewelry in North and South America. If you have any of these pieces, you will notice a similarity in some of the designs. This jewelry is also used for traditional costumes and regional dresses, we can make any design you like for your regional cloth, or adapt our old style jeweler to your necessities. Some of this jewelry can be used in special occasions, or special events, where you would like to be the center of attraction, and I promise you will achieve it wearing ARY-JOY jewelry. ART-JOY guaranties the creation and production of all this pieces, assuring you that you will not find anything similar in the market; these pieces get even more beautiful when time passes.